It’s getting to be that awkward time of year where your winter parka is no longer necessary, but it’s too early to hop into daisy dukes. Lucky for us the groundhog saw his shadow this year, which means an early and subsequently longer spring season – hopefully! Regardless of if this well-known folklore is true or not, the weather in yyc seems to be holding up to the prediction. So then the question still stands, which do you go for, the parka or the shorts? We say neither! Here are some great wardrobe fundamentals and longevity investments that will help make your fashion choices simple during the well-known transition periods between seasons that Calgary is known for. The best part – they are all from local boutiques and designers! A classic! It’s light, yet comfortable and will take any outfit from casual to chic, while keeping you warm on those brisk wintery spring days. However, this is a large investment piece and to get quality you must be willing to spend a pretty penny. The upside – a classic leather jacket never goes out of style, so you will have it for years to come. Anneke Forbes, Bano eeMee sold at Kismet and Mackage are some great local brands that carry a variety of different high quality leather pieces. If you grew up in the 90’s these are two words you probably never thought you’d hear again, but surprise they’re back! They were great for layering during the winter and now perfect to wear on their own. Dress up the look with a bold statement necklace or a longer chain for a more casual daytime look. Turtleneck’s can be found in almost any boutique these days. Check out Kit & Ace, Adorn Boutique or 27 Boutique and see what different options they offer. Faux of course! 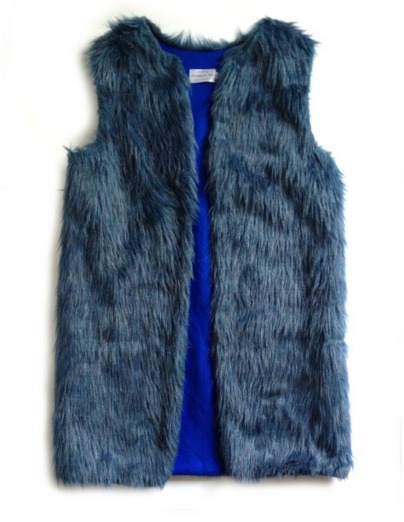 Adding a fur vest to an outfit automatically creates a trendy and chic look. They are extremely comfy and are great for those days when you roll out of bed 20 minutes late in need a quick outfit that looks polished and put together. Dream Boat Lucy is a fantastic Canadian line, originated in PEI by sisters Louanna and Hilary Murphy. They offer an entire line of different colors and styles of vests all made here in Canada. You can find their designs generally at Market Collective or on their online store! This is a transition piece, as it is perfect to wear to the office, but still looks great for wine-o’clock afterwards. Barclay Clothing, located in Bragg Creek, creates stunning blazers and jackets that are inspired by men’s sport’s coats and classic English cuts. They are breathable, yet warm and come in many different patterns and lengths and made to stand the test of time! Paired with a leather jacket or a blazer, this is the perfect outfit for spring in Calgary and good for those dreaded ‘fat days’– admit it we all have them! Make it your own by mix and matching the colors and trying different foot wear, such as sneakers, heeled booties or loafers. Check out Kazz Clothing and Workhall, two Canadian brands that offer a selection of different loose fitting cotton dresses in a variety of styles. The ultimate comfort sweater! It’s perfect for cuddling up with junk food and Netflix or going for Sunday morning brunch. Check out Camp Brand Goods in the Livery or Local Laundry Apparel, both offer original and uniquely designed crews for every season. A look is never complete without some sort of accessory, no matter how small it may be! If bold statement necklaces are not your style, then a pair of studs or a few simple finger rings are a great way to pull an outfit together. Coutukitsch and Salt Water Tea are just two of the many handmade jewelry artisans that you can find in Calgary. Adorn Boutique, located in Calgary’s historic Inglewood, also sells a variety of locally made accessories! Kristy is a creative Communications and PR strategist, freelance writer, coffee enthusiast and wine connoisseur. She has a very strong passion for art, style and fashion, and loves collaborating with local creatives and #girlbosses around yyc!